This tried and proven technique remains the standard of care to treat these annoying veins. Hypertonic Saline is injected with small 30G or 32G needles. With the benefit of magnified polarized light, and Syris technology, the results are impressive. 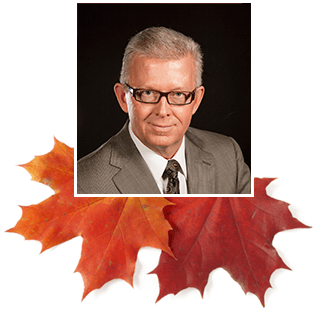 Having injected 1,000’s of veins, Dr. Abbott is very proficient at sclerotherapy, and achieves consistent results and positive feedback from his patients. This is the first aesthetic service that Dr Abbott learned back in 2004, and he continues with it today. 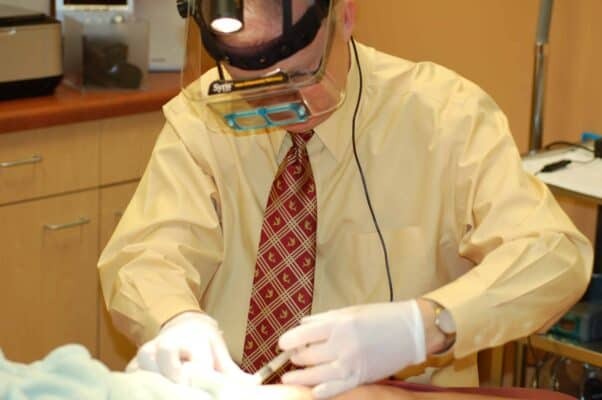 He studied under direction of the American College of Phlebology and the National Procedures Institute, and has perfected his technique over years of treating patients. For most of my patients, the discomfort is minimal, and is frequently reported as being less than they expected. With Hypertonic Saline there may be stinging or brief cramping associated with the treatment. When we are finished a treatment session, the discomfort is lessened with Ace bandage dressings. Tylenol is all that is needed for the pain. While you are here, I apply Arnica Cream that reduces pain, swelling and bruising. We sell Arnica Cream for your continued use at home. Arnica Cream is only $12. Small needles are carefully placed into the veins, and injected with Hypertonic Saline. The inside wall of the vein becomes inflamed. We want the vein to be compressed so that it disappears. There is initial redness, followed by slight swelling, and occassional itching – followed by healing over several weeks. I always tell my patients “You will look worse before you look better”. The treated veins become bruised areas. The body then uses its natural healing properties to remove the bruised area. Everyone heals at different rates, but in general most of the healing is completed within 1 month. How does this compare to “laser vein treatments”? Laser treatments are more painful, more expensive, and require more visits. And, in my experience, the results from sclerotherapy is vastly better than laser. The key is to find a doctor who provides this service on a regular basis, and is therefore experienced and able to deliver better results. How much improvement in my spider veins can I expect? The “standard” in vein care is to state that a good outcome is 60% improvement, and that multiple visits may be needed to get to that point. 10% of patients do not respond at all, even when the injection technique is performed properly. In my experience, it is not uncommon for me to hear from my patients that after one treatment they see 50-80% resolution in the appearance of the veins! Genetics is the number one factor, followed by pregnancy, standing professions, and obesity. Crossing your legs, and hormonal treatments (birth control pills) are not currently felt to be causes. Will I develop more spider/varicose veins over time? Yes. Unfortunately new veins will become visible over time. I have patients who now come in for maintenance treatments every year. When is the best time to have sclerotherapy? Any time of year! But, please remember that I want you to wear your leg wraps (Ace bandages) or support stockings for at least 3 days afterwards. Some people feel more comfortable having this service performed in cooler weather, and when they will not be wearing shorts or capris for a month. Is there anything else to know before I make an appointment for sclerotherapy? Yes. If you can, stop Ibuprofen, Advil, Motrin, Aleve and Aspirin one week before the procedure, to reduce brusing. Other blood thinners to hold for 1 week are Vitamin E and Omega 3 Fish Oils. If you have large bulging veins that are painful or causing leg swelling, speak to your primary physician about a referral to see a vascular surgeon. You may need another procedure before sclerotherapy (and it may be covered by your insurance). Do not have sclerotherapy if you have a history of blood clots (DVT/phlebitis), are pregnant or have a major uncontrolled medical problem.